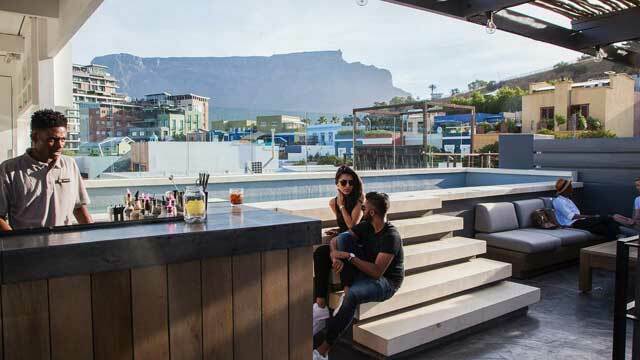 A complete guide to the 7 best rooftop bars in Cape Town in 2019. 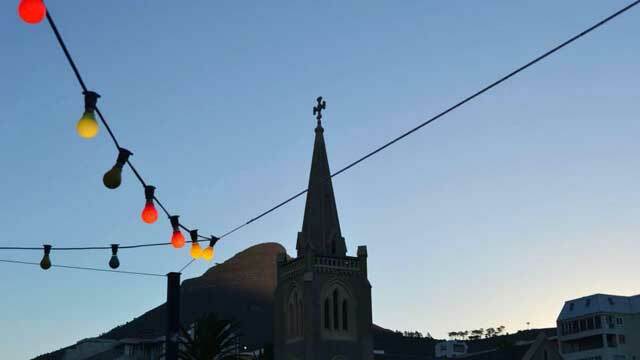 Which are the best rooftops in Cape Town? Here's a full list of the best roof terraces in Cape Town. 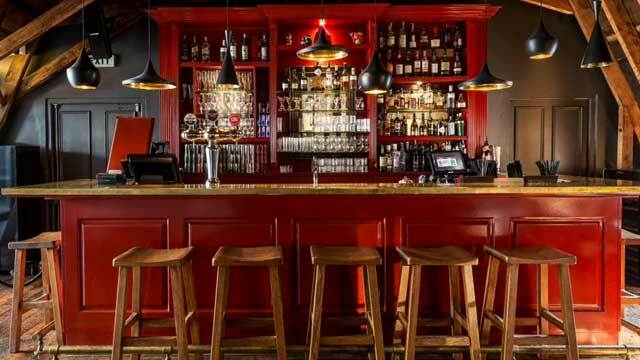 Here you'll find the best Cape Town rooftop bars with all info you need about each place. Dress code, pictures, opening hours, maps and a lot more. Drink with a view over the ocean, mountains and the city skyline at one of many of the fantastic sky lounges available here. You won’t be disappointed of what you get. 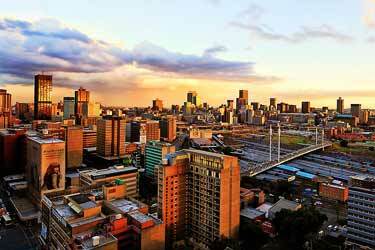 So, which is the best rooftop bar in Cape Town? 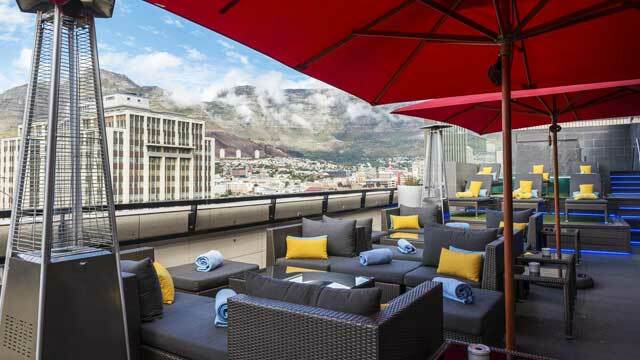 Just scroll down and find the Cape Town rooftop bar best suited for you. Or use the Cape Town rooftop map in the bottom right corner. Perched on top of the fantastic The Silo Hotel, located at the Waterfront of Cape Town, this rooftop bar offers an amazing view, with panoramics all over the city, harbor, ocean and mountains. Equipped with one of the world's coolest rooftop infinity pools, this is the perfect spot for luxurious lounging high above the city. 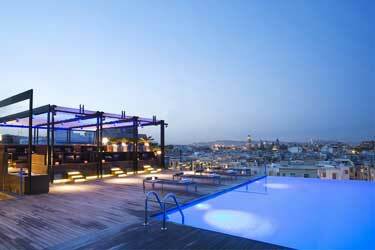 While the pool is only available to guests at the hotel, the rooftop bar is available to all. Just remember that you have to make reservation before you visit. Enjoy nice bites, classic cocktails or South African wines. A cozy and contemporary African rooftop bar, located on top of the fabulous boutique Grey Hotel in the vibrant De Waterkant of Cape Town. The top feature of this rooftop is probably the amazing views over Table Mountain, completed with panoramic vistas over the city and its surroundings. 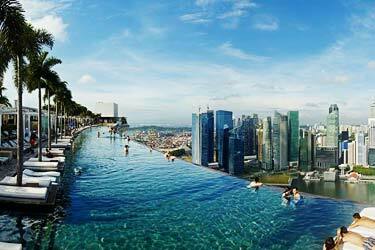 Not only views, the rooftop also comes with a rooftop swimming pool and a relaxed yet sophisticated atmosphere. Serving tasty signature creations along with familiar classic cocktails it is a great place for both daytime pool-lounging or pre/post dinner cocktails. The fabulous Grand Daddy Hotel, located right in the heart of Cape Town, comes with a truly unique and very eventful rooftop terrace. Complemented with cool views of downtown and the outlines of Table Mountain, this venue is close to a must visit. 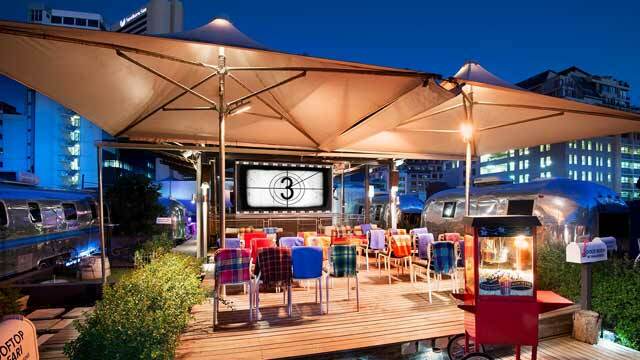 Up here you can either stay in one of the seven authentic Airstream trailers, visit the Sky Bar for cold beer and classic cocktails in a very relaxing atmosphere or go for the weekly Pink Flamingo Rooftop Cinema. 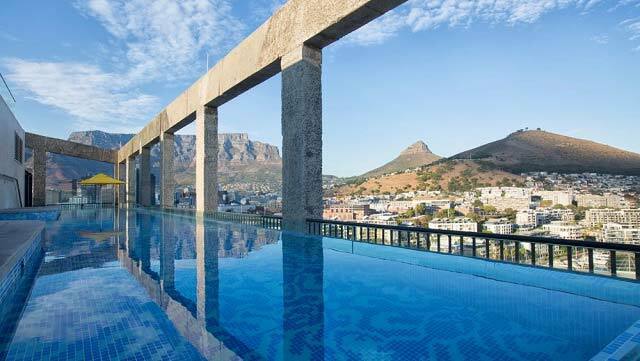 Check out the best rooftop swimming pools in Cape Town in this amazing article. Complete with all info you need to know about each rooftop pool. A luxurious and modern cocktail bar perched on the 11th floor of the Park Inn by Radisson Cape Town Foreshore. The roof terrace, called Harald's Bar & Terrace, comes with spectacular views of Table Mountain and panoramas over the city skyline. Open from early day to late at night you can visit for daytime lounging in the comfy sun loungers and dip your feets in the splash rooftop pool, or visit at night and enjoy the colourful lights and relaxing atmosphere. The rooftop bar menu is quite large, both in terms of food as well as drinks. Tjing Tjing House really brings a slice of Japan right to the heart of Cape Town. Renovated and refurbished during summer 2018, here you find Tjing Tjing Torii (street-food Japanese) on the ground floor, Tjing Tjing Momiji (fine dining Japanese) on second, and if you make your way up to the top (as you should) the Tjing Tjing Rooftop Bar. 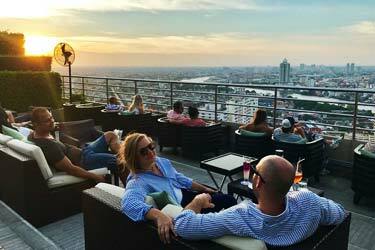 The rooftop bar serves fantastic and well-made cocktails, many with a Japanes touch, in a casual but trendy ambience. Located on top of the Royale Eatery, right in the heart of Cape Town, The Waiting Room is a chilled and hip rooftop bar offering great views across Cape Town and the busy street below. Not at all fancy, but retro, urban and chic, this place comes not only with rooftop patio but also an indoor lounge and dancefloor, plus an adjecent balcony. 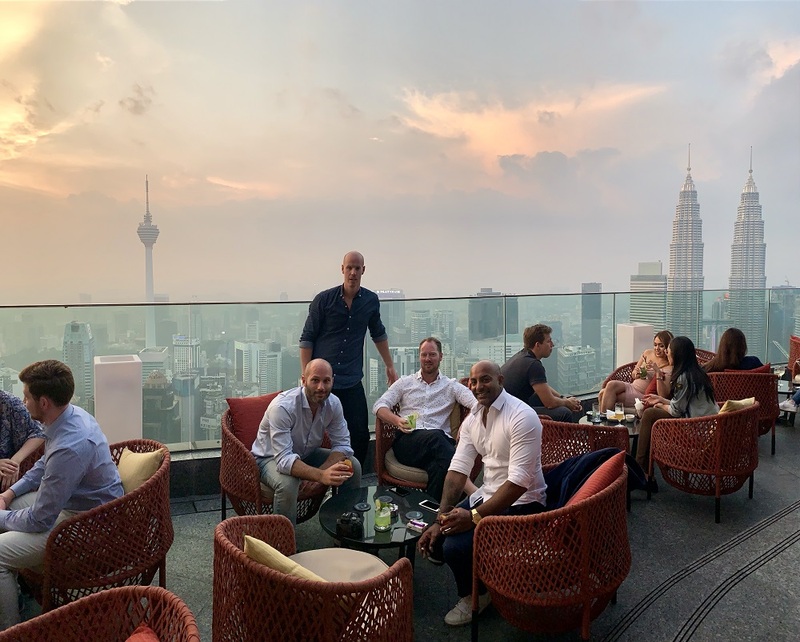 While the indoor part is a lot about live music, DJs and weekend party-vibes, the rooftop terrace is a bit more chill and with hanging lanterns it's a cosy place for pre- or post dinner cocktails. Zenith Sky Bar is permanently closed, but the Cape Royal Pool Deck is open for guests staying at the hotel. 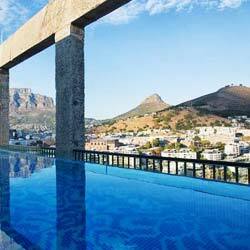 The Cape Royal is a luxurious hotel located at Green Point in Cape Town. 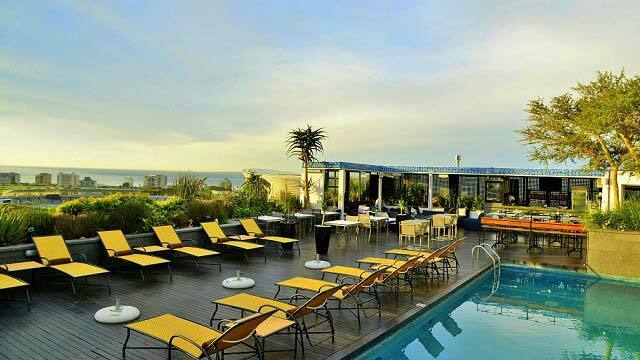 Just a short walk from Cape Town Stadium and the Waterfront, the hotel comes with a rooftop patio that offers stunning panoramic views of Cape Town and the sea. It also features a luxurious rooftop swimming pool. Discover the biggest collection of Cape Town activities, guided tours and skip-the-line tickets. Anything you want you'll find right here. When speaking of rooftop bars, there are a lot of good ones in Cape Town. The views from the view spots here, vary a lot, but on a whole there is something for everyone here in terms of drinks, views and atmosphere. 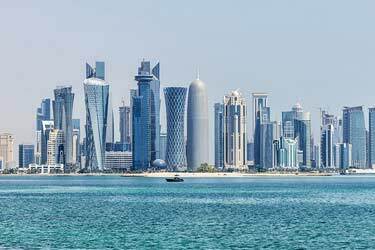 You get really cool views of the ocean, mountains, city and landscape from most of the sky bars located here. There's also a great varaity among the rooftop bars in Cape Town, where some a very fancy and some a little bit more laid back. Cape Town is South Africa's second largest city after Johannesburg. 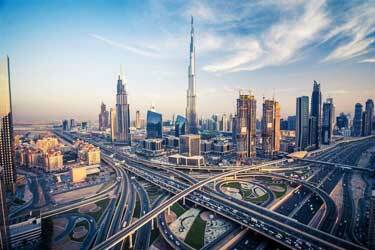 It is also the legislative capital of the country, which means that the Parliament is based here. The city is located in southwest Africa near the Cape of Good Hope at the Atlantic coast. 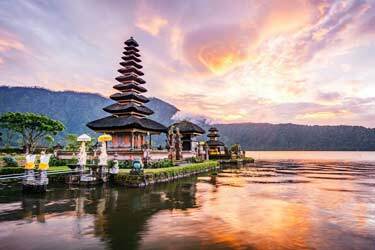 It enjoys a Mediterranean climate with distinct seasons. Hot summers and fairly cold winters. Cape Town is one of South Africa's most popular destination with attractions such as Table Mountain, surfing, white shark diving and its fine architecture.